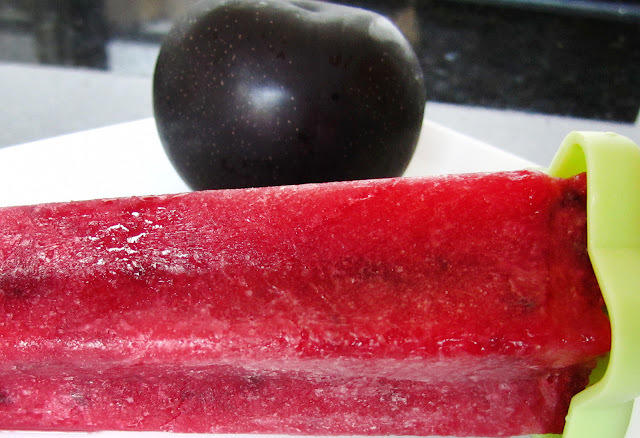 This one we call Plum Pop Pops. 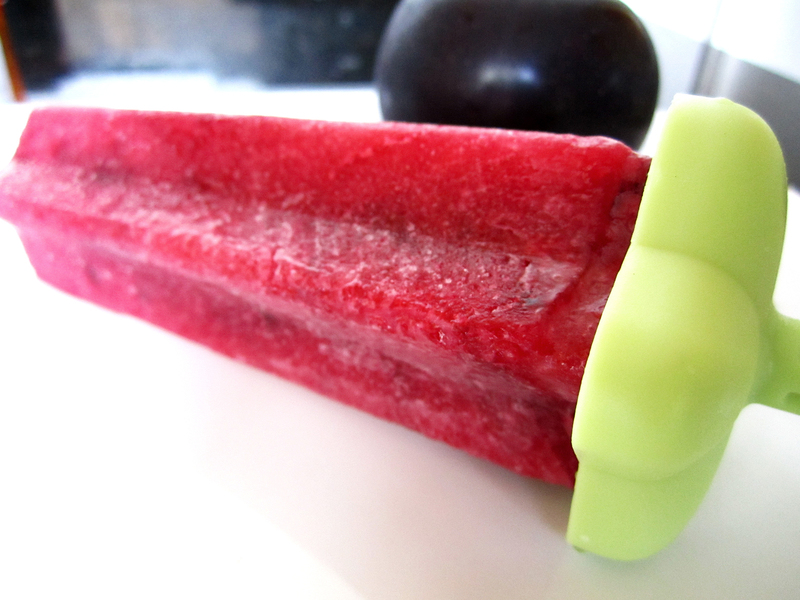 Pretty basic, like the watermelon agua fresca pops, we used seltzer to give it a lighter "texture." The tartness and rich color of the plum skin (which we left whole when blending) was perfect for me, though Jen prefers the milky ones like the cappuccino and blueberry-yogurt. Blend the plums in a food processor on a high setting for at least 2-3 minutes. There will be lots of tiny skin pieces in the mix, which can be strained if you don't want them. Toss in the sweetener and seltzer and pulse blend for 10-15 seconds. Pour into molds and freeze. These look AMAZING. Fun idea for the blog. . .look forward to your recipes and posts. Ive been looking through all your posts, and you are an amazing cook, and your presentations are gorgeous.